48 metre antenna has renewed. 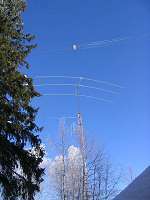 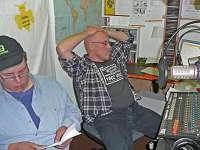 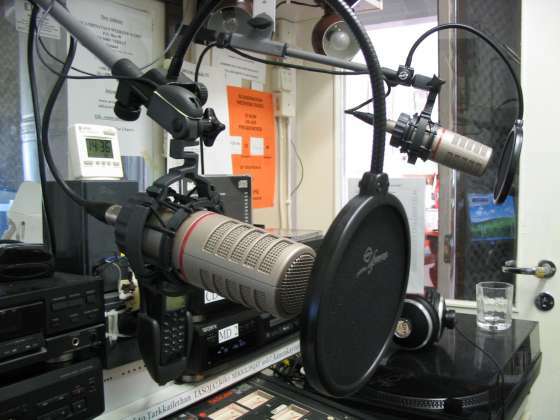 February broadcast builded up new half-wave cage dipole. 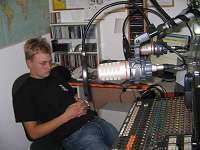 Quest dj at the TrickyTrev's show. 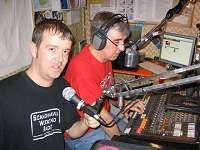 Martin (left). 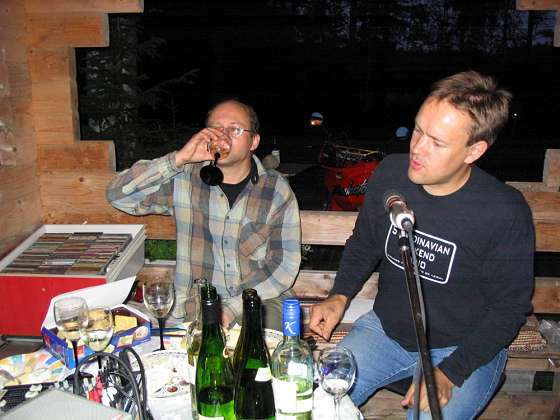 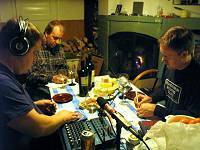 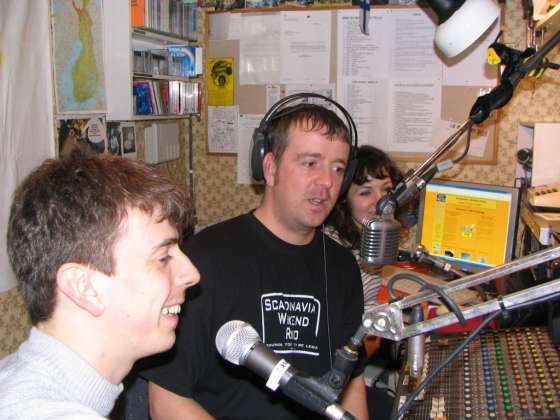 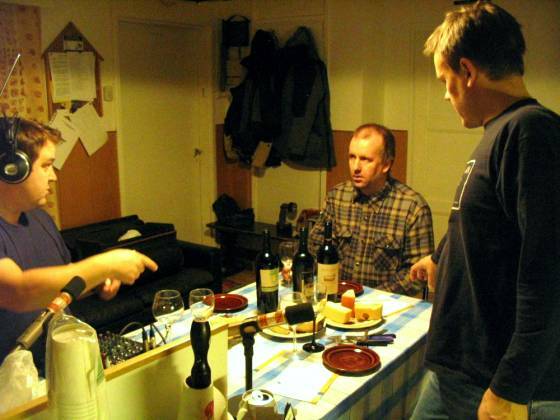 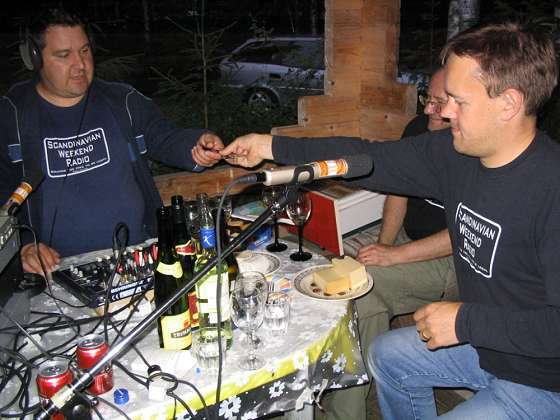 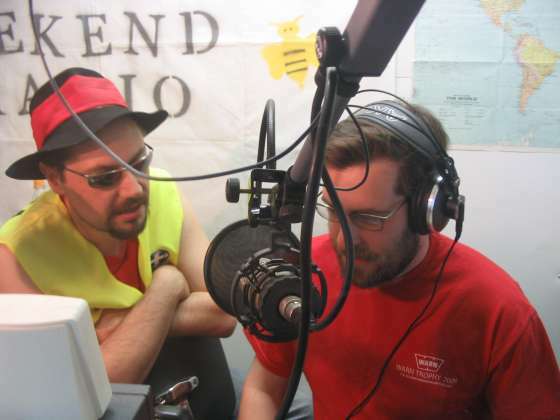 Stag party victim with interwiev by Radiojack. 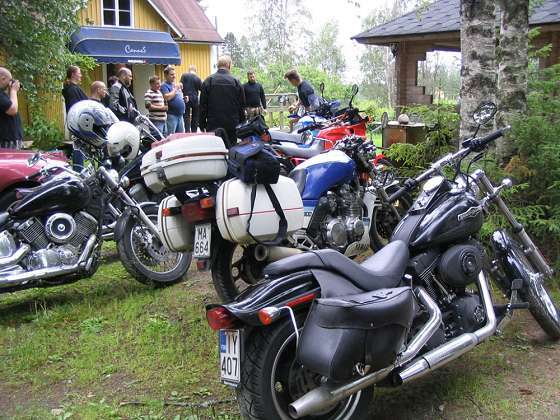 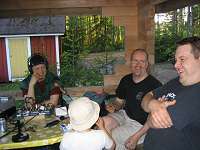 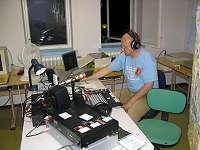 Summer terrace -programme from OB-studio. 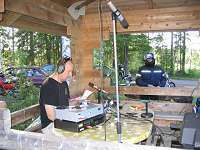 Tattooing on the air... Only in SWR! 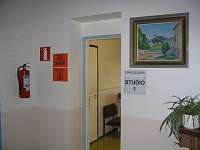 At Summer terrace -studio. 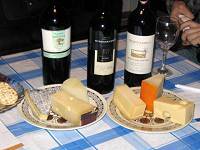 White vine and cheese tasting programme, again. 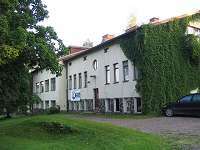 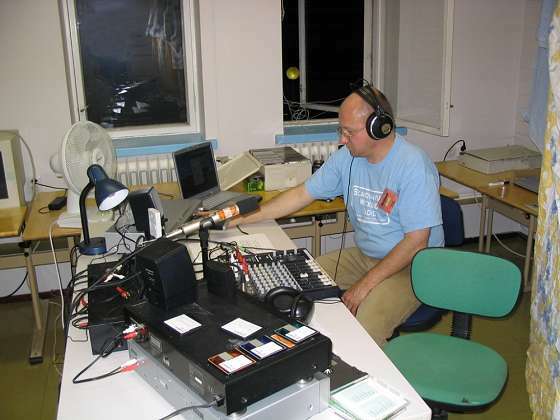 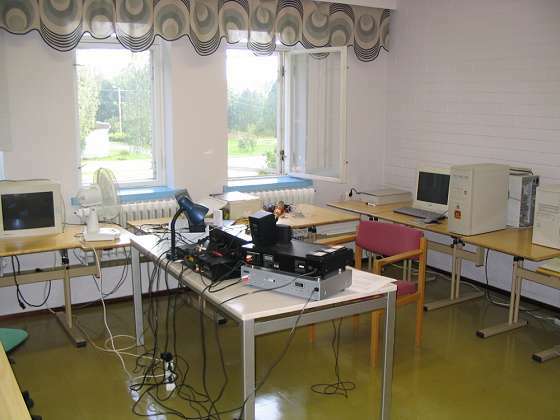 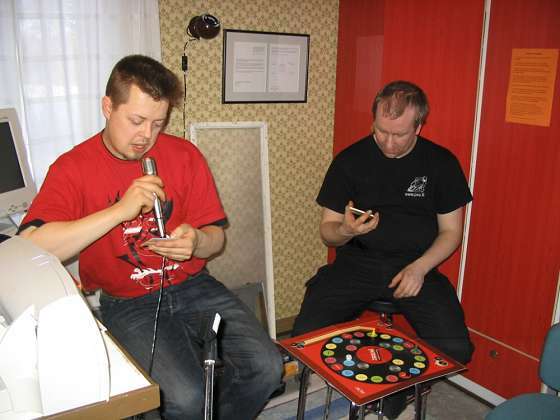 Radiomaailma/Radoworld via SWR studios at Voionmaan Opisto, Ylöjärvi, 20 km from Tampere. FDXA summer meeting 2007 official radio. 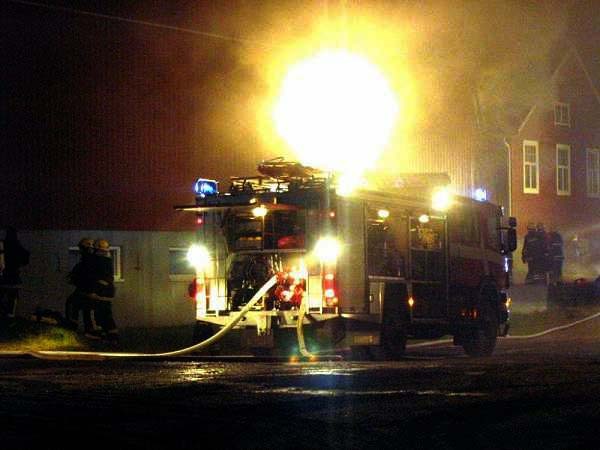 Two little boys palyed fire. 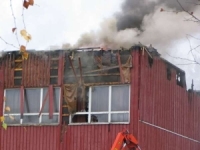 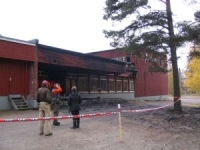 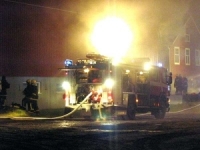 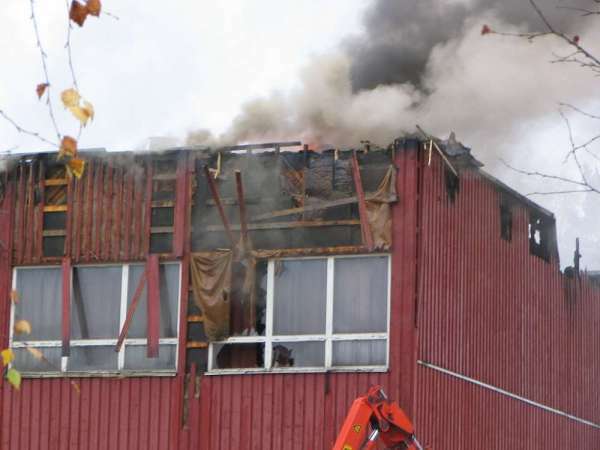 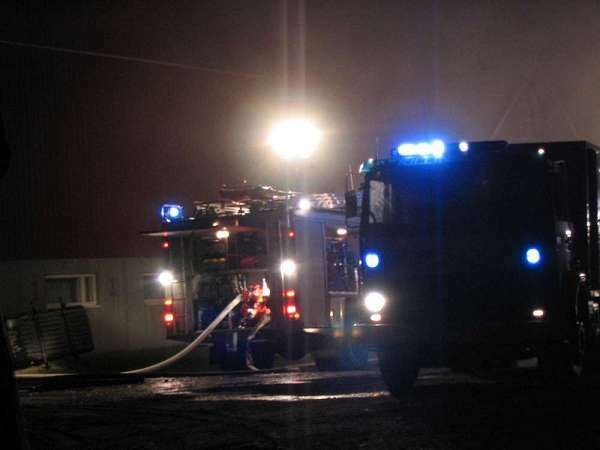 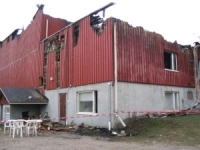 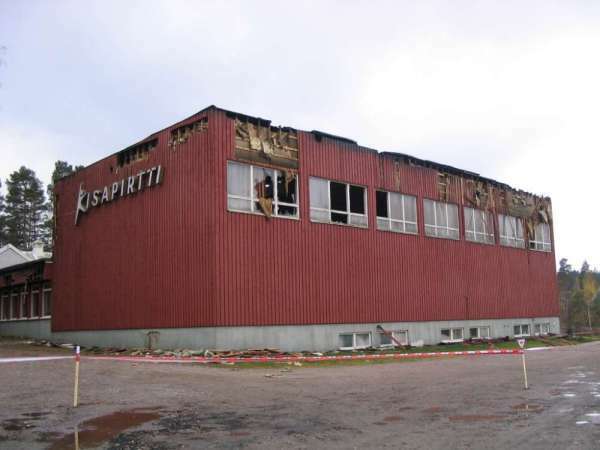 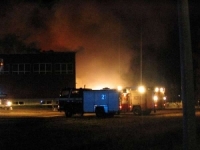 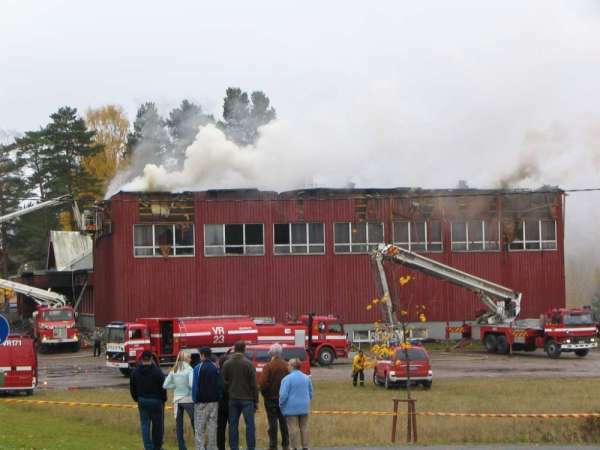 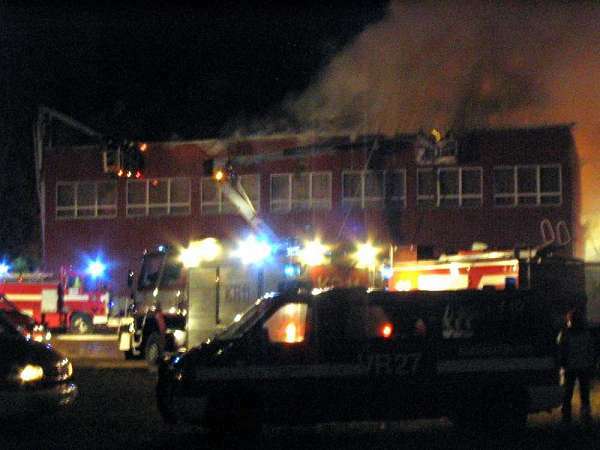 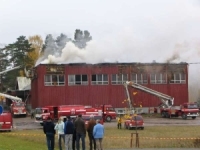 It got large fire and destroyed Kisapirtti sportshall. SWR reported fire. 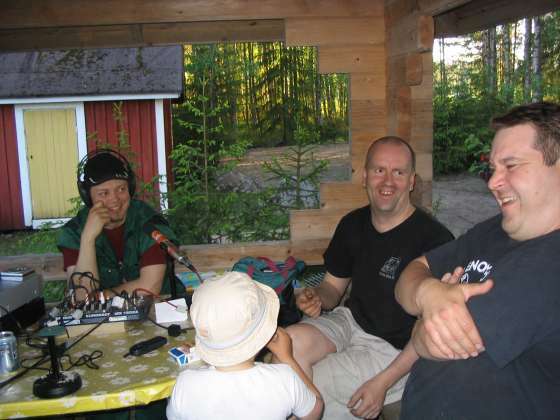 Photos by Tricky Trev and Dj Häkä.